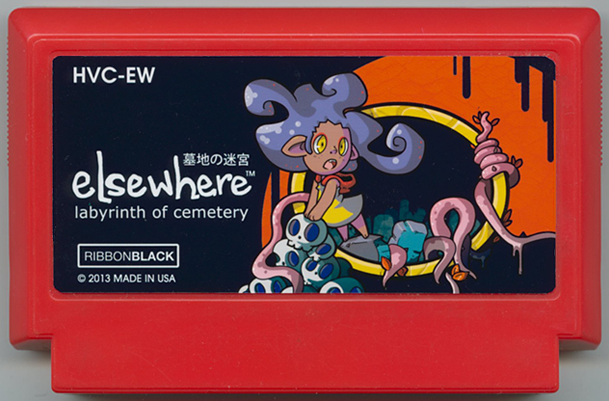 Calling all fans of faux cartridge labels: this year's "My Famicase Exhibition" entries are now available for public consumption at famicase.com. 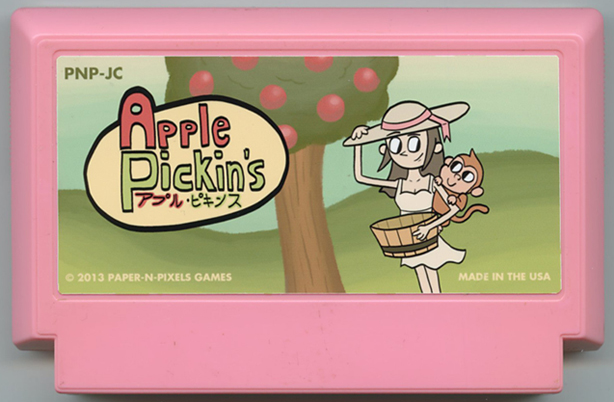 Apple Pickin's--This John-Charles Holmes charming creation tasks players with picking apples "on a warm and breezy May afternoon. But only the ripest apples will do!" Witch Hunt--Only folks with hearts of stone--or a certifiable aversion to witches--could fail to be captivated by Elena You's deliciously dark label art (below). Also sure to appeal to most right-in-the-head gamers: this title's premise, which has players "navigate complex mazes and avoid capture" while attempting to escape a treasure-filled pirate's lair. Womb Odyssey--Marc Rios' entry certainly wins the "Most Intriguing Title" award of this year's "My Famicase Exhibition." 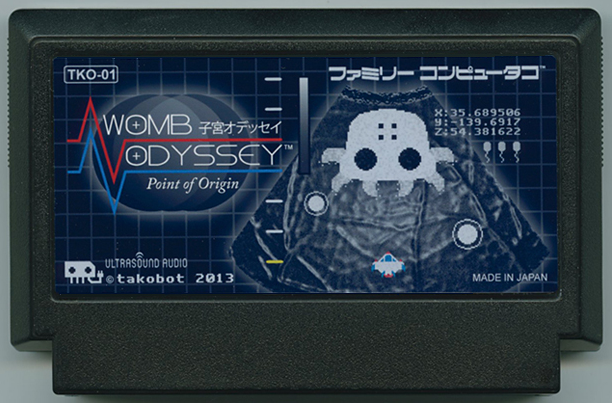 Its description is similarly intriguing, as it sends players on a "microscopic excursion into the sacred chambers of life." 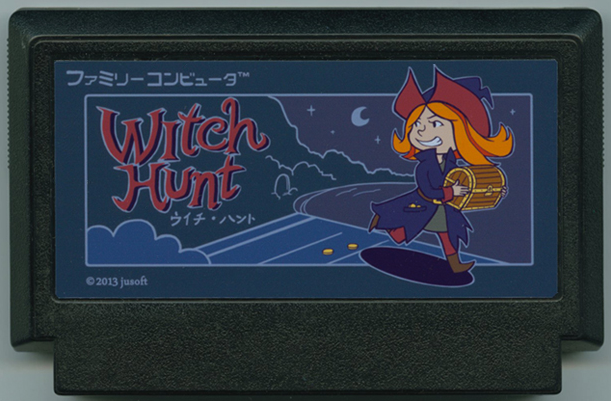 All sorts of additionally wonderful concoctions can be found at famicase.com/13/, of course, so I'd highly recommend checking out the site at your earliest convenience. That game about picking apples in May would be REALLY short. Apples don't get ripe until AT LEAST August. Cute labels, though. 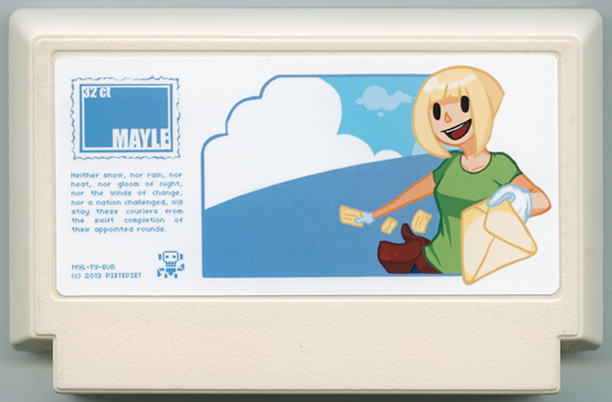 The Mayle game is my favorite out of the bunch. Reminds me of Wind Waker. Ooh I love all of these! How do you enter anyway? Looks like it'd be fun! They are pretty awesome, aren't they, Kimimi? As for how you can enter: sadly, I don't know. That said, Jeremy Hobbs, one of artists whose entries were chosen for this year's exhibition (and who comments here from time to time as Nightmare Bruce), should be able to tell you. You're welcome, Jeremy! BTW, did you notice the comment above--about how to apply for or enter the exhibition? Meteor should accept admissions again in March (the deadline was March 31 this year). I asked around and translated some info from their site and have the proper templates and guidelines in a text file...if you'd like I can email you the stuff you need! Much obliged, I'll send her the info. Thanks for the help, Bruce!